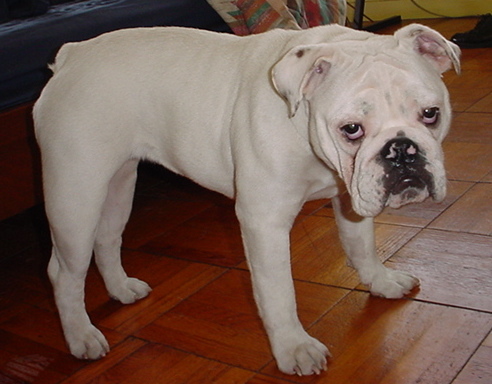 The term Bulldog is most commonly referring to the English Bulldog, although there are variations in the breed, such as the American Bulldog, Olde English Bulldogge, and the French Bulldog. The original Bulldog was used in the blood sport of bull and bear baiting, until those were outlawed in 1835. In New York in the mid 17th century, the Governor brought in Bulldogs to round up wild bulls. The English and French Bulldogs (but not the other variants) were eventually crossed with a pug, and no longer have the attributes of bull baiters. 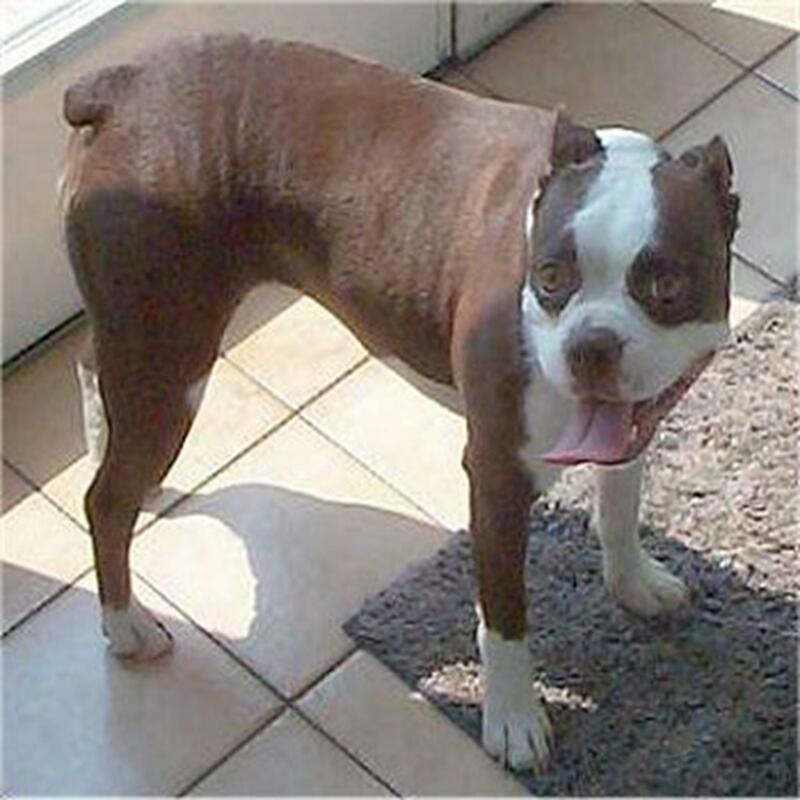 The Olde English Bulldogge is a recreation of the original bull-baiting, pit-fighting bulldog of Elizabethan days and is considered one of the Pit Bull breeds. The American Bulldog is a mix of these original fighting bulldogs and a mastiff type, and is also considered a Pit Bull breed. See Section Two for information about these two Bulldog types. Breeders have been selectively breeding in hopes of ridding the English Bulldog of aggressive tendencies. This has led to English Bulldogs being easier to train and more likely to follow owner instructions. Despite some recent improvements of the breed, they still need strong and consistent owners. 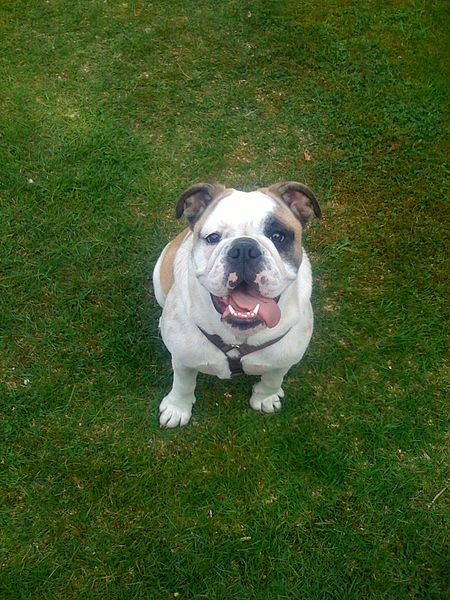 English Bulldogs enjoy limited exercise, such as daily walks, but do not need excessive exercise. Excessive exercise or heat can be detrimental to the health of an English Bulldog. Both the English and the French Bulldogs often have trouble breathing due to the short snouts and deformed palates. These canines can be far more active as puppies, but their activity will decrease as they mature. 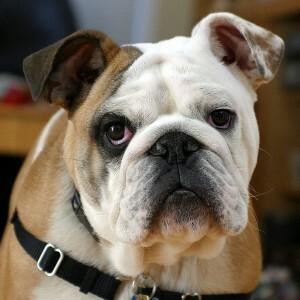 The English Bulldog is a natural guard dog and is considered to be courageous and loyal. The French Bulldog is very small, and is nowadays purely a companion dog – it is more like a Pug than like a Bulldog. English and French Bulldogs love human attention and interaction. They display a mild temperament and are generally gentle with children. However, due to the history of the bull breeds, we do recommend using extreme caution when in contact with the English Bulldog. The English Bulldog does well with other family pets that know and understand the household rules, but may not interact in the same way with unfamiliar animals. It can show serious animal aggression. The French Bulldog can sometimes aggravate other dogs by its snorting, as if other dogs interpret the snorting to be a kind of growling. If a dog flips a French Bulldog on its back, or if it falls over during play, the French Bulldog often can’t get onto its feet again on its own due to the size and shape of its head. The French Bulldog can then suffocate if the owner doesn’t quickly turn them back upright. English and French Bulldogs often make very loving household pets. Families that own them find them to be entertaining and comedic. English and French Bulldogs breathe heavily due to the structure of their skull and jaw. This can lead them to snort when happy and delighted. They also can be difficult to sleep with due to excessive and loud snoring. They are messy eaters and often leave behind trails of drool and slobber. Families who love the breed can easily adjust to life with an English or French Bulldog. English and French Bulldogs do not do well in warmer climates, unless they have help keeping cool. They do not retain enough heat to be exposed to excessive cold, either. Many require regular cleaning and maintenance under the skin folds of their face and other parts of the body to prevent irritation or skin infections. Proper health maintenance on an English or French Bulldog can be time consuming and costly. The English Bulldog’s life expectancy is short, ranging from 6 years to 10 years. They usually weigh between 40-50 pounds. Common health issues can include hip dysplasia, Patellar luxation, interdigital cysts, respiratory problems, cherry eye, and allergies. Females often require cesarean deliveries of puppies due to their small pelvis. The French Bulldog lives about 10 years on average. They weigh between 16 – 25 pounds. Common health problems include dermatitis, various types of hemophilia, and the problems caused by the shortened snout and palate. In some lines with especially large heads, birth has to be done by cesarean section. Unlike the English and the French Bulldogs, the Olde English Bulldogge and the American Bulldog were not mixed with Pug or other purely companion breeds. 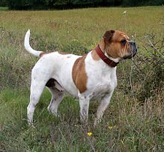 The Olde English Bulldogge is a recreation of the original bear-baiting, horse-baiting, pit-fighting bulldog of Elizabethan England. 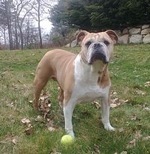 The American Bulldog is a mix of these original bulldogs with a mastiff type1,2. The Boston Bulldog is smaller than these two, but it is also considered a fighting breed, created by mixing Pit Bull with the Boston Terrier (the Boston Terrier is a slender terrier type that functions mostly as a companion breed)1,2. The Boston Bulldog is no longer very popular as a fighting dog because of its small size, but it retains the characteristics it was originally bred for. All three of these Bulldogs are considered Pit Bull breeds. For more detailed information, please see our American Pit Bull Terrier page. 1. Fleig, D, Fighting Dog Breeds, THF Publications Inc, Neptune City NJ, 1996. 2. Jenkins, R and Mollett, K, The Story of the Real Bulldog, THF Publications Inc, Neptune City NJ, 1997. Hello. No, bulldogs and American Bulldogs are absolutely NOT considered (by any reputable canine organization) as “Pit Bull type” breeds. They are an entirely separate and unique breed of dogs. 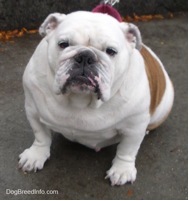 This is misinformation and misclassification of the Bulldog and American Bulldog breeds reduces the value of the website and will cause readers to question all of the other “data” and “facts” reported on this website. This misclassification of the Bulldog and American Bulldog breeds should be corrected otherwise your entire website will be questioned and will be classified as yet another “anti-pitbull” website peddling false information about dog breeds. There are several reputable canine organizations and websites that have begun tracking websites that contain false or misinformation and it would be a shame if your website became listed and associated as yet another anti-pitbull website containing disingenuous, misleading, and/or false information. On this page the American bulldog has the olde English bulldogge pictures under it and the olde English bulldogge has the American bulldog picture under it. I was out walking on my small town streets three weeks ago and was surrounded by three olde English Bulldogges and one bit my thigh before I could get out my pepper spray. I did have to get three stitches and the bite bruises cover at least a third of my thigh. The pictures have been fixed. Thank you for pointing that out. The people in charge of the website are not the same as those who write the content.